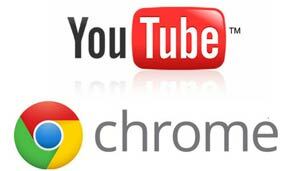 The intuitive user interface with the power of Google TV lets you seamlessly search the web with Google Chrome and apps through Google Play to find the entertainment you want. 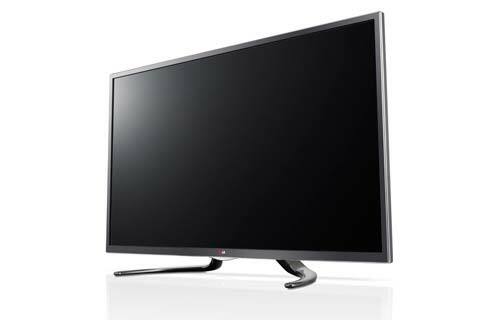 See sports, video games and high-speed action with virtually no motion blur and in crystal clarity with LG’s TruMotion 240Hz technology. 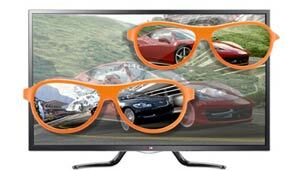 LG’s GA7900 TV lets you enjoy LG’s intuitive user interface with the power of Google. Now you can seamlessly search for content on your TV using Google Chrome and download apps through Google Play with the easy to use LG Magic Remote QWERTY. This TV also boast LED Plus with local dimming for an extroardinary picture achieved through local dimming technolgy that delivers amazing contrast, color richness and uniform brightness. Disclaimer: *Internet connections & certain subscriptions required and sold separately. Content and services vary by product and are subject to change without notice. 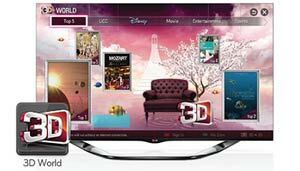 LG knows how to keep things simple, so nothing gets in the way of having fun with LG Google TV. 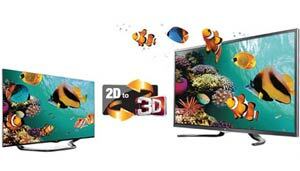 Dive into an unlimited world of movies, television, social networking and web surfing. Immediately. Intuitively. 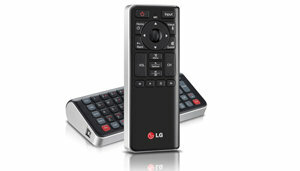 The world is in the palm of your hand with our Magic Remote QWERTY. 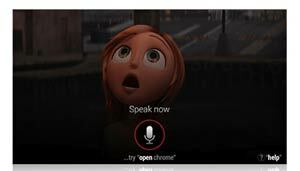 With effortless gesture control, you’re enjoying your favorite content…big time! And the hottest Android apps are as close as our on-screen Home Dashboard menu quickly accessed by the lightning fast L9 Dual Core Processor. Today’s well-populated landscape of entertainment options blurs the lines between TV and the Internet, but how do you make the most of it all? 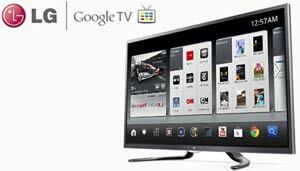 Google TV puts a world of video, apps, websites and more on the big high-definition screen, and LG brings you the most advanced Google TV you can buy. Featuring the rocket-fast L9 Dual-Core processor and innovative Voice Search, LG Google TV is a great choice for speed and convenience in the Smart TV age. Google TV PrimeTime Quick Guide makes it easy to browse live and on-demand TV shows and movies, web video and even DVR content, if compatible with your setup. Peruse offerings from Netflix, Amazon Instant Video, HBO GO, YouTube and other sources in the convenient overlay, which allows you to search while still watching your current program. Then filter the results by time, price and video quality. And when you rate a show or movie, Google TV PrimeTime Quick Guide can begin making personalized recommendations for your future entertainment. LG Google TV is your instant, never-looked-better passport to YouTube, Facebook, Netflix, Nascar.com, The New York Times…and that’s just the tip of the iceberg. Aim your Magic Remote QWERTY at Google Play, and get ready to explore the latest Android apps created for Google TV, plus a vast marketplace of entertainment. If you really like impressing your friends, just talk into the remote and request your favorite site. Wow, there it is! Bigger and brighter than you’ve ever seen it before. 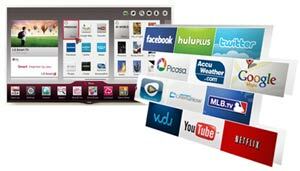 Quickly access videos, music, and photos stored on your LG Cloud, then enjoy them on your TV. Disclaimer: *Internet connection & subscriptions required and sold separately. Mirror files from your Smartphone, tablet and other devices with Miracast™ to your TV. Disclaimer: *Internet subscription required and sold separately. 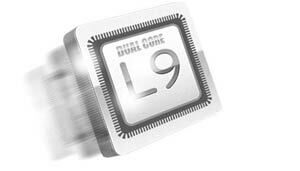 Search, email, shop, read the news, watch online videos and run complex web applications faster than ever. 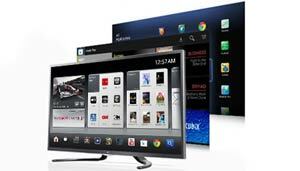 And since LG Google TV is Flash-compatible, you’ve got the full sweep of web access without limitations. Prepare to be dazzled. 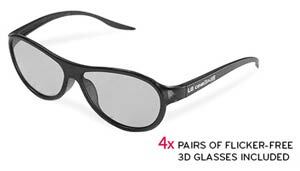 Want deeper blacks and richer colors? LG’s LED Plus technology provides even greater control of brightness through edge LED lighting control to deliver better contrast, amazing clarity and color detail.